Carey Purcell recalls all kinds of craziness. In the fall of 2006, Carey Purcell replied to an ad on Craigslist and soon found herself working as the receptionist for Trump magazine. 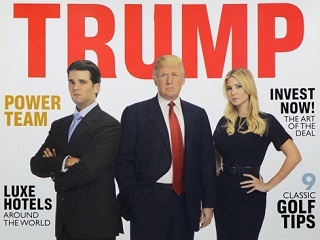 The publication was originally launched in 2002 and existed briefly as Trump World, before starting up again under that name in 2004 and being eventually re-branded in 2006 as Trump magazine. Purcell paints a colorful, chaotic picture. One that was dramatically overshadowed in 2007 by her cancer diagnosis and subsequent treatments. Read the rest of her story here.